A Fable is a story about supernatural or extraordinary people usually in the form of narration that demonstrates a useful truth. In Fables, animals often speak as humans that are legendary and supernatural tales. A literary genre: a succinct fictional story, in prose or verse, that features animals, legendary creatures, plants, inanimate objects, or forces of nature that are anthropomorphized (given human qualities, such as the ability to speak human language and that illustrates or leads to a particular moral lesson (a “moral”), which may at the end be added explicitly as a pithy maxim. A person who writes fables is a fabulist. The most famous fables are those of Aesop. Many of us were read these tales as children and they are still read to children today, in fact the moral’s within the stories are timeless. Other cultures have there own fables, such as Africa’s oral culture with it’s rich story-telling tradition. India also has a rich tradition of fabulous novels, mostly explainable by the fact that the culture derives traditions and learns qualities from natural elements. In Europe fables has a further long tradition through the Middle Ages, and became part of European high literature. Unfortunately, in modern times while the fable has been trivialized in children’s books, it has also been fully adapted to modern adult literature. My children’s chapter book, Ockleberries to the Rescue has magic woodland sprites helping their forest friends and they ‘talk’ to each other. The morals are that we need to care for each other and the environment. Have you written a story with a moral? Care to share? Once again I attended this fantastic event. Part of Alberta Culture days, organized by my writing group, Writers Foundation of Strathcona County and with co-hosts, Arts and Culture Council of Strathcona County. With over thirty authors and a dozen artisans filling the venue as well as an aboriginal fancy dancer, hoop workshop, memoir presentation, African drumming tutorial, live music, children’s activities and author readings, the event offered fun activities for all the family. I planned my table to display my children’s books at the front with Rumble’s First Scare and soft toy Rumble of course, with hats, T-shirts, bookmarks and pins. Ockleberries to the Rescue had the animal ornaments and the ‘door’ display. Then there was Clickety Click – the day of the launch! I made the exploding planet to attract readers and had special scaly toques made in two shades of purple. The purple table covering also focused the eye as did my purple inspired outfit. 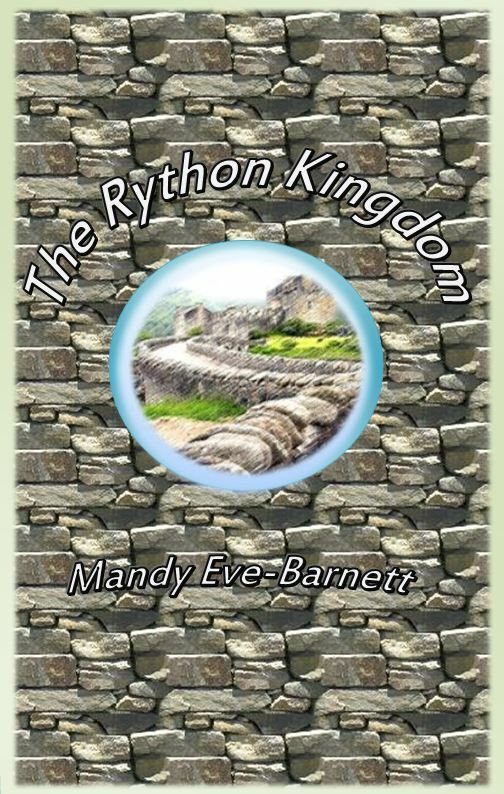 To the side I displayed The Rython Kingdom, my fantasy romance, as it is an adult book, with its glowing orb and handmade bookmarks. This year I created an activity table, which you can see behind me in the photo, with ‘monster’ and Rumble pictures and also animal quizzes. A couple of kids won prizes for their entries, unfortunately I only got a photo of one! She loved her monster slippers. It was a successful day and I sold many books and a few toques too. See this lad with his Rumble toque. I find the themed displays and merchandise attracts the children’s attention and then I have a chance to explain the books to the children and their parents. I was fortunate to have one Clickety Click book bought by our Mayor who will donate it to a local school. 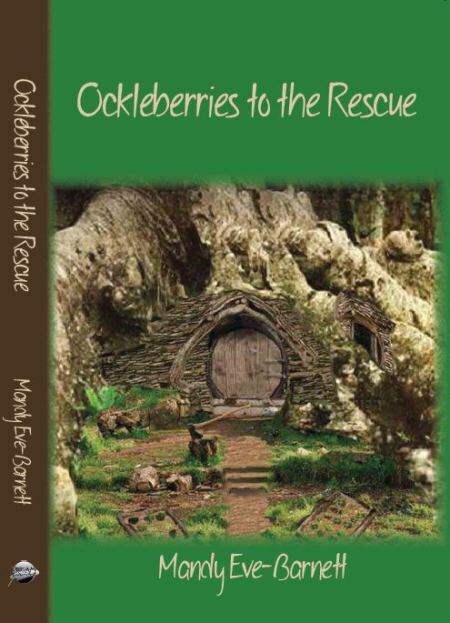 Another lady purchased two copies of Ockleberries solely on the review she had read in our local paper. She even cut it out and brought it with her. 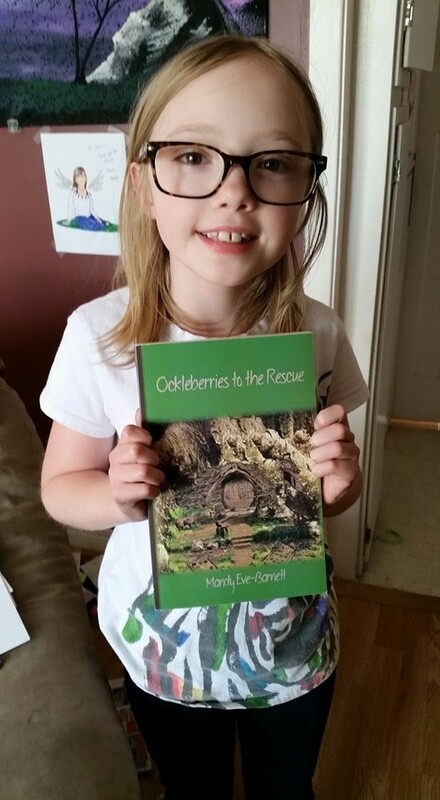 I enjoyed participating in the author readings and shared part of Ockleberries to the Rescue – Stump the Woodpecker to be exact. To be part of such an event, sharing my words with readers and forging new friendships with other authors further confirms my love for the written word and this select membership that is ‘writer’. How do you attract people to your author table? As we juggle writing time, home and social life and book events, it is not just our personal commitment that requires organization but deciding on how effective we can make each aspect. With social media we can blast our books onto the internet but a single post soon disappears into the abyss. Book signings, author readings and book fairs are usually a more effective mode of advertising ourselves and our books. A chance to converse with our readers gives them a real insight into the backstory of the narrative and a sense of the author too. A website is a great way to keep readers informed on upcoming events and publication dates but also gives us an opportunity to reveal how we write, why we write and how the story was created. Character interviews, excerpts and sneak peeks of current projects tempt our readership. All these options are positive venues for advertising but we also have the opportunity to use selected publications too. I recently decided to spend a nominal fee on an advert in a children’s magazine. It is issued monthly and has a great readership. With download or print options available my advert has the potential to be seen repeatedly and this was a good part of my decision to pay for the advert.I will certainly be repeating this exercise later in the year. Take a look and see if Five Star Publications can help you. My advert is on page 33 – The Spring Reading Guide. What paid advertising do you use? Do you have any tips on where to advertise? 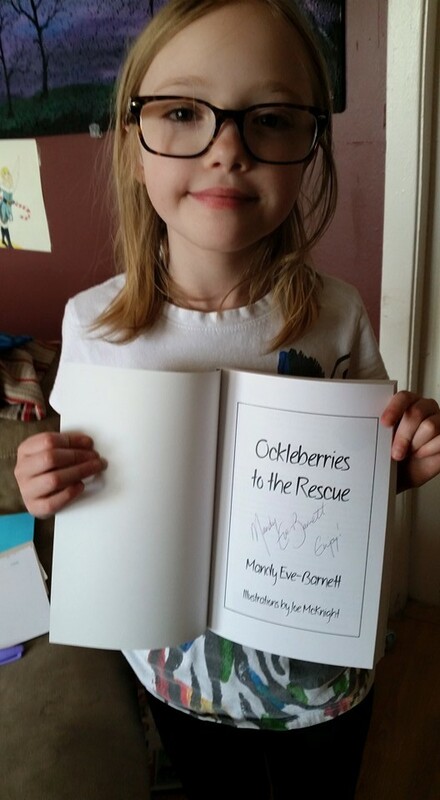 Some of you may know I’m in the midst of working with an illustrator for my upcoming children’s chapter book, Ockleberries to the Rescue. Each chapter will have a drawing of the animal or event that is within the narrative. I count myself lucky to know my artist from within my writing group. Not only is he the current President but a good friend. Joe McKnight’s pencil drawings are similar in style to Bernie Brown’s wonderful pictures. This is the reason I choose him, I want realistic drawings of the animals. As most of the internal pictures are completed, my thoughts have turned to the cover. I have a specific image in mind, which will reveal the woodland sprites home, however I am not including an image of the sprites, I want the children to imagine them. When we work with an artist it is paramount to have good communication and be able to describe the ‘vision’ we have for the illustrations. With Joe, I can have face to face discussions as well as email communication and have supplied him with sketches/images to assist him. 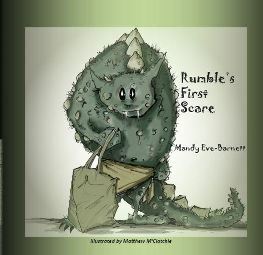 When I worked with Matty McClatchie on Rumble’s First Scare, we only had the option of email as he was in Australia and I was in Canada. His style is wonderfully stylized and suited Rumble’s world so well. We frequently underestimate the power of technology but this is proof it can work to our advantage. No matter where our artist may be situated we can work together to create our ideal images. Does the cover reflect the story? Does it reflect the genre? As you can see from these revised covers for the Harry Potter saga, covers can evolved. It is interesting how much more ‘action’ there is in the new covers and the style is more dramatic. Understand you can change your cover at any time – feedback from readers is important in ensuring the book cover encourages more people to purchase it. You can have a re-launch, an anniversary re-issue or upload a new cover for an e-book. Just because your book is published doesn’t mean you should forget about it. Constant promotion and revision will keep it fresh and engage new readers. How did you decide on your book (s) cover? Did you use your own photographs, commission or draw you own drawings or manipulate images some other way? Why not share your cover?